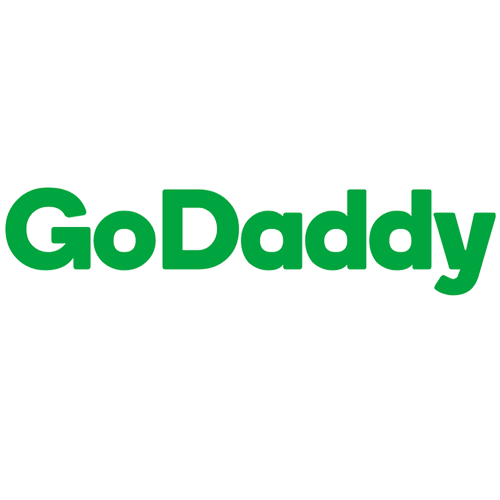 There are no two ways about it – GoDaddy is one of the biggest names when it comes to buying and hosting a website. It also has a pretty good website builder that you can try for free for the first month. In the past, the GoDaddy website builder was pretty basic. Sites built with this template were fine but lacked features like an in-built blog and the ability to use passwords with the site. It has always been a company that listens to what its clients want, and so it revamped the builder to stay aligned with the clients’ needs. Needless to say, it is still easy to build a GoDaddy website, but now more features are offered. These changes didn’t come out of nowhere. The fact is that there are so many different website builders out there, that the previous ones from this company were easy enough to ignore. Still, when the company launched the latest version, we had to admit to healthy scepticism. Was this really going to be the last website builder you’d ever need? If you listen to those singing the praises of this builder, it most definitely was. This is why we had to see for ourselves. We thought that it was time for a new GoDaddy website builder review. Has the software redeemed itself, or is it just more hype that we don’t need? We had to find out, and so we gave it a whirl. Read on to find out what we learned. To be fair, we’ve used a lot of website builders. So if we feel that the system is easy to use, it could partially be because we understand how they work. We put the software to the ultimate test and had our mom try it out. She managed to create a reasonably nice-looking site. The builder gives you access to several GoDaddy website templates, and from there it’s just a matter of clicking on what you want to change. If it’s a text box, just delete the form text and fill in your own. You’ll find that your company name and any contact details you’ve provided are prepopulated. You can type out your name or upload your company’s logo as you like. From there, you just make whatever changes you like by clicking on the appropriate tab. We were impressed with the smooth operation of the software. The interface is clean and easy to use. You’re not going to get lost here anytime soon because you work through it section by section in a very logical manner. We also like that it will work on a smartphone or tablet as easily as it will on a desktop. If you’re out and about and need to change something quickly, this feature makes things a lot easier. If you’d like to swap out the stock images provided by the GoDaddy templates, you just click on the image to replace, hit the “Replace” button, and then you’ll be able to drag and drop any image from your computer or select another one from the range of stock images. We haven’t encountered a simpler way to swap out images, and we’ve done a lot of reviews. Changing the focus of the image by zooming in or out. Moving the little green dot so that the focal point of the image changes. Changing how much of the image appears in the frame. In this respect, we felt that the GoDaddy website builder did fall a little short. Still, it’s not a deal-breaker – it’s easy enough to edit your photos in programs like Photoshop or GIMP before you insert them. Content editing is something that all website builders seem to be able to get right. After all, what’s the point of a website builder if you can’t update your content. None of the others does it with quite the same amount of style, though. Want to add social media buttons? Just hit the Social Media option in the menu. All you have to do is to add your social media page address. GoDaddy couldn’t have made it easier. We loved the ease at which you can add or replace content. For this GoDaddy website builder review, the ease with which you can change content is what scores the highest points. Just click on the box that you want to change. From there, delete, change, or add new text. You can even copy and paste text that you’ve already created in Word, or even copy and past it off your old site. On the downside, though, you don’t have a lot of options when it comes to what fonts you can use. It’s annoying but, on reflection, not such a bad thing. If you look at some new GoDaddy website examples, you’ll see that they look clear and easy to read. By limiting your choice in terms of fonts, the company is ensuring that the site created will perform as well on mobile as it does on a desktop. And that is essential if you want your site to really do well. When we used the editor, we were presented with a choice of 20 different themes. According to GoDaddy’s website, there are hundreds of themes, or as the company calls them — GoDaddy website builder templates. These look modern and function beautifully. We didn’t find a way to access the hundreds of themes that they mention. We set our site up as a financial advisory site in the early stages, and that could be why we were only able to access 20 themes. That said, 20 templates are more than enough. What’s more, with a little bit of customisation here and there, you could easily create a unique GoDaddy website. If you’re a more advanced user, you might be frustrated by the fact that you cannot change the layout substantially. You’ll find themes across all ranges of categories. It’s clear that the company has put in a lot of effort here. This is one area where you get to save a bit of money. The themes we were presented with all looked professional and were free. GoDaddy offers hundreds of professional looking themes, and they are all free. Another compelling reason to use the GoDaddy site builder is that all of the themes are responsive across a wide range of devices. Whether you’re looking at them on a laptop or a mobile phone, they’ll look great. Perhaps the reason that the company keeps such a tight rein on the features that can be changed is that it wants the sites to be as mobile-responsive as possible. We have to agree that if this is indeed its strategy, it’s paying off well. The site we created looked awesome on our laptop, tablet, and iPhone. The website builder GoDaddy allows you to run a separate blog section, but it’s pretty basic. It supports RSS so readers can subscribe to your feed. All posts must be accredited to the same author, and you can’t add tags. Add in that the SEO settings are based on the main site’s settings and you can see it’s not the best blog option. SSL encryption is now a basic feature in most plans. The company offers webmail that matches your site. The plans are reasonably priced and start at a few dollars a month. You also have the option of signing up for one of its email marketing programs. These programs allow you to easily add a widget to your site that adds the names and addresses of new subscribers to your list. The site gives you the option to add some basic forms, but they’re basic and not that easy to customize. If you want something unique, you’d be better off changing over to something like the WordPress website builder. That said, the forms in the system are pretty good as they are. See for yourself. At the moment, you can hide content on your site from general view. What is frustrating, though, is that there is no way to create a password-protected section that is accessible only to members. It’s not something that will affect the majority of webmasters, but it is going to prove detrimental to webmasters selling membership sites. If you fall in that category, then it’s time to look at Website Builder UK – you’ll find more suitable options there. The menu is fully customisable and building your navigation bar is made incredibly simple. You do have the option to add an e-commerce store, but, like with the other options here, it’s a very basic store. Some users complain that you can’t sell digital products and that you’re better off using Shopify. The way that we look at it is that this is a great option for smaller businesses. You can get your store set up and running in less than 10 minutes, with no programming experience at all. Your store will look good, play well on mobile, and work flawlessly. Who cares that it doesn’t have all the bells and whistles when starting out? You can easily upload up to 5,000 products. The integrated newsletter feature is a nice touch. You’ll have to pay extra for it with the price depending on how many subscribers you have, but the starter plan comes in at less than $10 a month, so it’s not exorbitant. What’s nice about this feature is that it can convert your blog post into an email newsletter. There are several other useful features within this program as well. In terms of performance, our basic site performed okay. Considering that it was a dummy site without a lot of content, we did feel that it should have performed better. Still, it was rated average, which isn’t bad. How SEO-Friendly is the Website? In terms of SEO, the builder is very basic. You can opt to include a tool that gives you advice on SEO for an additional cost. This tool highlights good keywords and gives you advice on incorporating them. It’s very useful. The DIY SEO options here are limited. You cannot add rich snippets when it comes to your product titles, but you can edit the site’s meta description. The URL structure can be described as a little clunky, and there’s not much you can do to change the structure. If you have a basic site, this is not an issue. If you need a site with over 10 pages, this becomes problematic. You can add a sitemap to help Google crawl your site more easily. The builder doesn’t come with a built-in analytics suite but integrates beautifully with Google Analytics. If you’re wondering, “How much does GoDaddy website builder cost?“ this section is for you. The plans start at $5.99 per month for the simplest, ad-free site. These sites don’t have built-in HTTPS protocol. To have that included and to get PayPal integrated, you’ll need to opt for the next highest plan, the Business Plan at $9.99 per month. 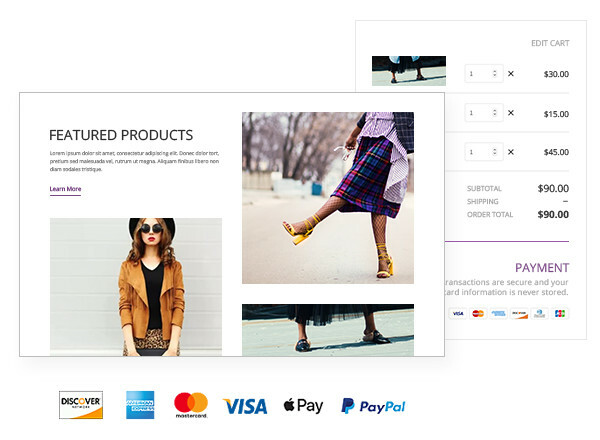 It will also give you additional features like the ability to process credit cards without PayPal and an abandoned cart option. As you see, the prices quoted above are all monthly. The domain name will cost you extra, but the site often runs specials in this regard. Naturally, you may still wonder, “Is GoDaddy website builder free?” Is anything these days free? The upside here is that you can try it out for free. You don’t have to buy the software to find out whether or not you like it. The site is pretty transparent when it comes to pricing, but you need to know exactly what you are getting. It has a “Try Free” option which states that you don’t need to pay anything for the first month. This is great, but when you start looking into it more closely, you’ll find that there are many upsells that you can add. Some of these upsells are things that you might have thought were included in the monthly admin fee. It’s not that the company is hiding things from you as such, but you need to keep your eyes open as well. You also have the option of creating a smart line second number. This creates a business phone number that is linked to your mobile phone. People think that they’re calling the business number when in fact they’re phoning you. The first month’s subscription is free, so if you don’t add any add-ons, you don’t pay anything to start off with. When the trial is over, your account will be debited with the following month’s fees. You can opt to pay on a month-to-month basis or save money by paying per quarter, year, or for up to three years in advance. You can pay with Mastercard or Visa. At the moment, those are the only two options. You have full access to the GoDaddy Website Builder Tutorial. This guides you every step of the way while you’re building up your site. It’s simple enough to use on its own, but just in case you need some assistance, you can speak to the company directly. This company excels at customer support. It offers an extensive help section on the site, so we recommend checking that out first. You’ll also find a ton of GoDaddy website builder examples online if you need the extra inspiration. If you still need help, you can call in, send an email, or use the instant chat option. The instant chat and call centre are open 24/7, so you could get help if you need at 3:00 am on New Year’s Day. We went through to the help desk and found it pleasant enough and willing to help. Getting assistance is pretty simple, and you can ask for information on billing, technical issues, and so on. Some examples of questions that you can ask right now might include the following. Now, clearly, someone working at the helpdesk is going to say “Yes.” And we’d have to agree up to a point. It’s a good way for someone with little to no experience to get their site up and running. That said, it’s probably a better option for a smaller site and might irritate a more advanced user who wants to customize everything. How Do I Access GoDaddy Website Builder? That’s about as simple as can be. Just head over to the site and click on the “Websites” button. Then choose “Website Builder” from the drop-down menu. Click through, and you’ll be given an option to work on an existing site or to start a new one. Choose the second option if you don’t have a site name, and you’re ready to get started. After that, you just go to the GoDaddy website builder login to continue creating your site. Does this builder get a big thumbs up or thumbs down? In this case, we’ll have to say that it depends on the person who’ll be using it. If you know very little about web design and just need something simple to get started, this software is top-notch. If you battle with all the options on WordPress, this builder will be a breeze to work with. In a fight between GoDaddy Website Builder vs. WordPress in terms of customisation options, WordPress comes out tops. If you don’t need all that much customisation, though, it’s all white noise. GoDaddy offers a solid alternative. Work step by step without even worrying about coding. If you can use a Word document, you will manage this software as well. It’s simple to add images and replace stock content within the builder. The site functions well and is already optimised for mobile. Is any piece of software perfect? We wish, but that wouldn’t be realistic, would it? This software does have some limitations that might make you consider GoDaddy website builder vs. Wix purely from a functional perspective. It is a very basic editor. You don’t have a lot of choices when it comes to colours, fonts, and so on. The layouts are generally locked in. From that aspect, customisation is almost impossible. If you have some mad computer skills, you’ll probably want software that’s a little more robust. This product is aimed at beginner to intermediate users, and its main selling point is simplicity. Of course, that simplicity comes at the price of flexibility. If you have a huge site, this might not be the right option for you as the navigation structure is not suited to support a lot of different pages. At the end of the day, we’re in two minds about this software. We love how easy it is to use – our mom managed to create a site using it, and that’s pretty awesome. She can perform basic functions on the computer but is not all that clued up about the web. On the other hand, we do wish that the GoDaddy website builder allows users a bit more freedom when it comes to moving things around and swapping out layouts. All in all, though, we had to give this software a thumbs up. Most people use website builders because they don’t know much about coding. If you’re looking for a clear and simple builder, this one should be on your list.